SAFETY NOTICE All visitors must register at the main office. All visitors to Vermilion Local School District buildings will be asked to provide their full name and purpose of visit before entry is granted. 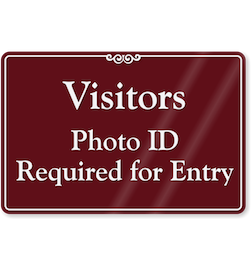 Upon entry, visitors are now required to show a drivers license or state-issued photo ID. Thank you for your patience as we continue to update procedures and improve safety for our students, staff, and visitors.